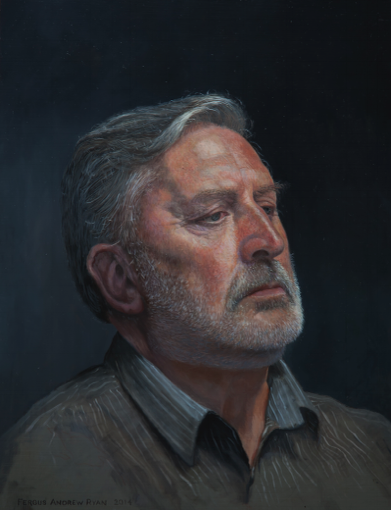 The model for this portrait, who is from the southern Irish city of Cork, sat for five days during a David Kassan masterclass at the Royal Hibernian Academy in Dublin. The first two days participants drew from the model in charcoal and chalk. Then the drawing was transferred to a panel and the next three days was painting from the live model. I worked on this for a further two sessions at home.